Using serrated knife, cut French bread in half, and cut each half lengthwise through center. Hollow out each piece, removing bread and leaving 1/2-inch shell. Cut removed bread portions into 1-inch pieces, and set aside. In large bowl, mix roasted red bell pepper, garlic, spinach, chicken, Alfredo sauce, salt, pepper and reserved bread pieces; mix well. 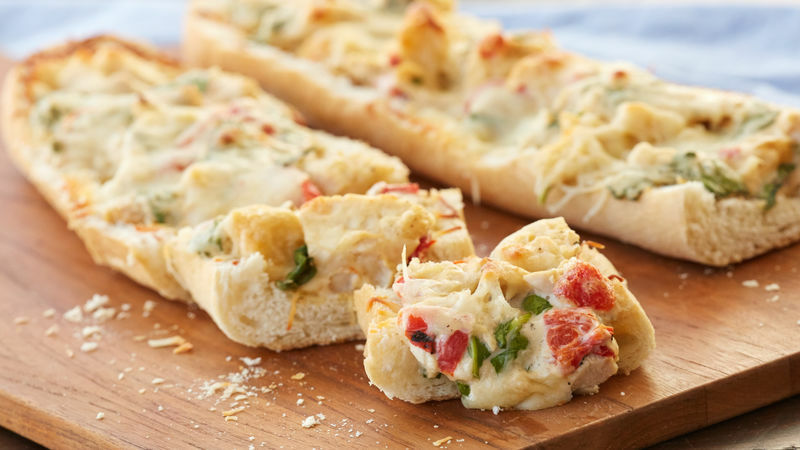 Spoon mixture into French bread shells, and sprinkle with cheese; place on cookie sheet. Bake 28 to 32 minutes or until heated through and cheese has melted. 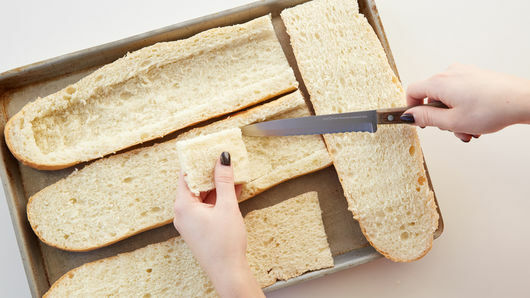 To serve, cut bread crosswise into 2-inch slices. Alfredo sauce comes in different varieties. Pick your favorite. French bread loaves vary in size and shape. 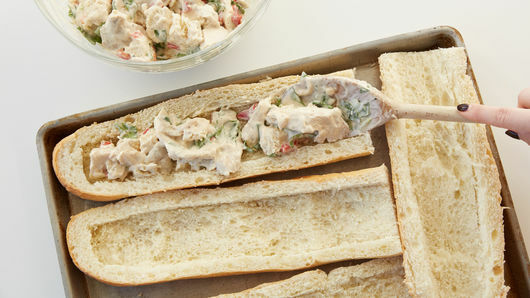 Be sure to pick a 16-oz loaf for this recipe.